Jeddah: For DJ Cosmicat, “music is sacred.” In a completely dark room, Cosmicat puts on her headphones, switches on her laptop, speakers and mixer, and listens to music for hours on end. She then selects a few tunes that she believes compliments each other and plays it on her mixer in different ways to make a rhythmic pattern of beats. This is the norm for the 27-year-old who is one of the few female DJs in Saudi Arabia. 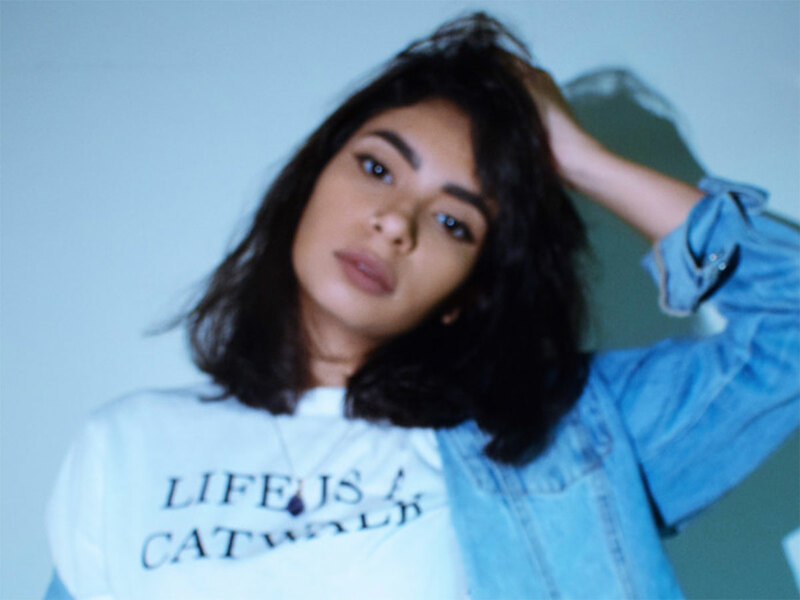 The Jeddah-based DJ however keeps her music and personal worlds at bay and wants to be only known by her stage name Cosmicat — a fun fusion of her profound interest in cosmology and love for cats. Music has been a big part of Cosmicat’s life ever since she was a child. While growing up, she would always take charge of music at family events and friends’ parties. “My time and money went into music. I was obsessed with collecting cassettes and would record my own mixes off the radio, after which I moved on to making playlists on CDs. I am one of those people who has a huge music library with lots of underground tracks and undiscovered songs,” said Cosmicat, who plays house and tech and its sub genres. My time and money went into music. I was obsessed with collecting cassettes and would record my own mixes off the radio, after which I moved on to making playlists on CDs. Cosmicat, who has been gigging for almost two years, studied to be a dentist but soon found her true calling in DJing. “I think somewhere deep within, even as a kid, I was meant to be a DJ,” she said. Cosmicat also revealed that while she was fortunate enough to enjoy the strong support of her father and friends in pursuing an unconventional career path in Saudi Arabia, there were some who heavily criticised her. “Some people told me I was simply fooling around while others said that my work as a DJ wouldn’t make it far as a Saudi woman, but I never let if affect me,” Cosmicat said confidently. Undeterred, the self-taught DJ learnt how to deejay through online research by observing some of her Saudi male deejay friends, after which she spent hours honing her skills. Saudi music producer Vinyl Mode was the first person to believe in Cosmicat’s talent, encouraging her to pursue it as a career. Cosmicat debuted as a deejay with Jeddah Musicians last year, and since then has bagged gigs at fashion shows, international consulates, and private events at lounges. “It’s very important to understand the vibe and the crowd that I’m playing for, and sometimes it can take hours and days to find tracks and put together a complete set,” she said. Cosmicat’s best gig was when she was lucky enough to share the stage with visiting female German DJs Charlotte Spiegelfed, Piloka and Gudrun Gut, and Saudi DJ Desert Fish. The works of international female deejays Amelie Lens, Charlotte de Witte, Peggy Gou and Deborah de Luca inspire her. But Cosmicat’s all-time favourite is Russian DJ Nina Kravis. “I love her style, energy and taste in music. She’s also a dentist like me and I see a little of myself in her,” she said. Cosmicat recently enthralled the crowd at Saudi Arabia’s first electronic music festival White Oasis at the King Abduallah Economic City in Jeddah. The festival was attended by more than 2000 music lovers and DJ Cosmicat was the only female DJ headlining the festival among 12 other local male artists. — Sadiya A Nadeem is a freelance journalist based in Jeddah. Better known as her stage name DJ Shamsa, Al Bitar is one of Jordan’s first female DJs who has been gigging all over Europe and the Middle East for the past 4 years. Shamsa plays deep, cross and tech-house by mixing Arabic electronic content. The passionate DJ believes that electronic music helps in bringing international communities from all over the world closer under the basic essence of a beat. Syrian DJ Bana Al Abyad has been a deejay for the past 15 years and plays at high profile weddings and events in Egypt, Beirut, Syria and Jeddah. Bana focuses on combining old and trendy songs to please people’s different tastes in music. However, integrating northern with western music is what sets her apart. When DJ Bana is playing the party is hard to stop. Aso known as DJ Panda, Baghdadi is from Saudi Arabia. Baghdadi, who began performing at gigs just three years ago, mixes and plays electronic music with the Middle Eastern music instrument darabouka live on stage. Donia’s unique style of gigging got her to share the stage with famous Arab singers Shereen, Assala Nasri and Ahlam. Another highly popular and immensely successful Syrian DJ, she mostly plays in Amsterdam and the Middle East mostly. DJ Odette enjoys playing trance and was inspired by Above and Beyond DJs to pursue a career in DJing. Egyptian DJ Maie Al Sabi was always interested in music but was introduced to DJing by her ex almost 5 years back and since then there’s been no looking back. Popularly known as DJ Kidmims, the young DJ has set the nightlife on fire in Cairo, mixing and playing all kinds of music, but mostly enjoys playing house music.